So who is the social consumer? They are active online and learn about information and breaking news through platforms such as Facebook and Twitter. Is your business offering a new product? 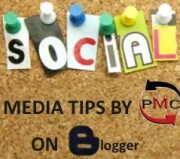 A social consumer will find out about it on your company blog, Facebook page or any other social site you may be using. Social consumers have learned how to avoid the messages sent through traditional advertising, and are searching for a deeper connection with the brands they love. Instead of one-way advertisements, you’ll get farther striking up a conversation with a social consumer. If they ask you a question, they expect a response: one that is quick and handles their needs. If your company is not on Facebook, you are no friend of theirs. Additionally, they see through unwanted promotions and deals while they search for relevant information. What percentage of Americans could be considered social consumers? Let’s look at some fascinating statistics. 81% of Americans go online to find purchase recommendations. 60% of consumers regularly interact with a brand on social media networks. 43% search for ratings on web sites. 41% of Americans believe that companies should use social media sites to offer help to their customers. Second, you must understand which kind of content social consumers will interact with. 77% of customers look for incentives when engaging with brands over social networks, therefore, coupons and free offers are great ideas. Other content marketing strategies should include customer feedback, entertainment (videos, photos, etc. ), access to industry-related information, widgets, apps and polls. What are some other kinds of content that you believe social consumers would appreciate? What kinds of content are you already creating for your social media marketing campaign? We would love to know, so leave a comment below!